Colorado has rather lenient policies when it comes to certain license issues for those serving out-of-state or abroad on active duty in the military. If you are stuck in some desert foxhole overseas in 100-degree heat with bullets the size of sidewalk chalk buzzing by, most likely the last thing you are thinking about is the state's license renewal procedures. Of course, not every person in the military is engaged in combat or even overseas, but there are plenty that are residents but currently reside outside of the rectangle that is Colorado. Fortunately, military folks and their dependents are eligible for a free extension of 3 years (1 time only). But, even so, you will need to provide a few things to the Division of Motor Vehicles in order to receive the extension. Photocopy of military ID card (front and back). Current address to mail the extension. Military personnel and/or their spouses can be granted an emissions renewal reprieve by completing and mailing in this Application for an Affidavit of Emissions Extension (Form DR 2376) to a local driver license office. Although there are extended amnesty periods for license renewals and emissions, it is not so with registration renewal. If you have a car sitting around back home and are off on military duty somewhere, you will still need to pay the required fees by the end of the grace period of 1 month. If you are the resident of another state, but stationed in Colorado, you can register your vehicle without paying ownership tax by completing this Nonresidence and Military Service Exemption From Specific Ownership Tax Affidavit (Form DR 2667) and taking it to your county title and registration office. Request a duplicate instruction permit or minor driver's license OR an extension on your CO driver's license, for reasons allowed by law. Submit this form as proof of exemption from Colorado ownership tax (typically due when you register your car) if you're a non-resident stationed in CO for military service. 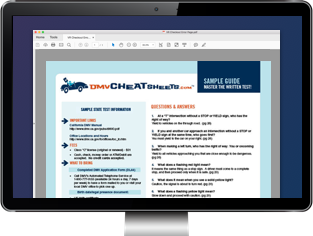 Submit this form to the Colorado DMV to request an extension on your vehicle emissions test if you're out-of-state when the deadline elapses.